We guarantee that your taxi ride will not only be a journey, but also a pleasure. A new service of SIÓFOK TAXI - SIÓFOK VIP CAB SERVICE. For the same price as for regular taxi you can use our exclusive transport service. 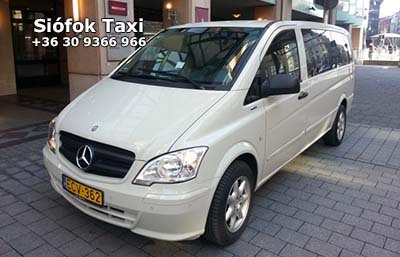 We offer you our passenger transport and airport pickup, airport transfer service with MERCEDES TAXI CAB AND MINIBUS. The fees for VIP TRANSPORT SERVICE are low but the quality is high. You can use our service all year round 0 - 24 hours in Siófok and around Lake Balaton. 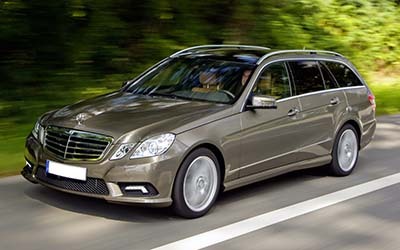 We are at you service with our taxi cabs: Mercedes E class, Mercedes S class, Mercedes V class, Mercedes Vito, Mercedes Viano, Mercedes Sprinter catgories. You can book your transfers online by filling in the form on our homepage. On-line prebooking. We would like to offer our politeness, punctuality and reliability while you are using our service in Hungary. We have modern cars in taxi, cab, minivan, minibus, categories. In case you need an English speaking driver we can provide one as well. Local taxi rides in Siófok, domestic trips, airport transfers, private minibus excursions, scenic tours, chauffeur service, international passenger transport are our main profiles. We have high standards for our colleges, as punctuality, professional service, customer friendly behaviour. 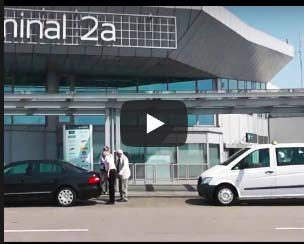 You can book our airport pickup and airport transfer service between Siófok and Lake Balaton - Budapest Airport, Vienna Airport, Zagrab Airport, Graz Airport, Bratislava Airport. - VIP Excursions and scenic tours, Budapest Sightseeing, and international transportation with an english speaking driver is not a problem for us. We are happy to greet you as one of our customers in Siófok, or at Lake Balaton. - We guarantee. that your taxi ride will not only be a journey but also a pleasure! - Not a taxi but VIP cab, but licensed for passanger transport. - Taxi colour? The colour of the cars are not standardised. - No taxi sign - because this kind of transportation is no a regular taxi, it is a VIP cab. - On the taxi rank? Our cars do not pick up passengers from the street. We only do prebooked rides. - Types of cars? Mercedes C class, Mercedes E class, Mercedes Vito, Mercedes Viano, Mercedes V class. - Are the cars insured? By the law, all the licensed transport cars are insured. - Taxi an cab service prebooking in Siófok: only on-line by filling in the booking form. - Prices, fees? We are using fixed prices for airport pickup and airport transfers. - Payment: Cash to the driver in: HUF, EUR, GBP, CHF, USD. - Payment by bank transfer: only available for contracted partners. - Invoice: Of course, according to the law we give a recipe. - Where are we available? In Hungary, in the whole country. Taxi Siófok – VIP Transfer Budapest Airport - Siófok - Siófok Taxi - VIP CAR SERVICE - VIP Transfer Budapest - Siófok - Mercedes E class for max 3 passengers, luxury airconditioned VIP cab. We suggest our E-class Mercedes with English speaking driver and big luggage-rack for airport transfers. We accept creditcards in case of prebooking. Siófok Taxi – luxury minivan taxi cab, which is only allowed for the transportion of the maximum of 6 passengers according to the law. With even more space and luggage-rack, it is really comfortable for long trips, airport transfers, hotel transfers, international journeys with many suitcases. Fully air-conditioned premium category, especially for smaller groups. 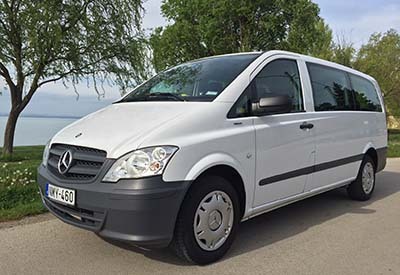 Siófok Minibus – Mercedes Vito minivan for 8 passengers, fully air-conditioned, premium category. Best option for companies, sports events, conferences. English, German, Hungarian speaking driver, payment with creditcard is available. We recommend this service for hotels, travel agencies, companies to carry out airport transfers or international trips. Between Budapest Airport and Siófok, the price can be more reasonable than travelling by train or bus.